Problems playing music from the phone via Bluetooth. Wiring instructions in b/w. You better know how to interpretate those or get it professionally installed. As far as systems go for your car, none are quite as important as your speakers and sound. Whether you like to jam to the radio or listen to your own stuff through a separate device, having the music flow through your car’s speakers is like nothing else. The beats and the bass wash over you in a way that you can’t experience through headphones or a home stereo system. For that reason, it’s hugely important that you get a sound system that can handle everything you throw at it and won’t get bogged down by technical difficulties or limitations. As such, the Pioneer AVH-X4800BS is one of the best units you can find, and it’s easy to see why. 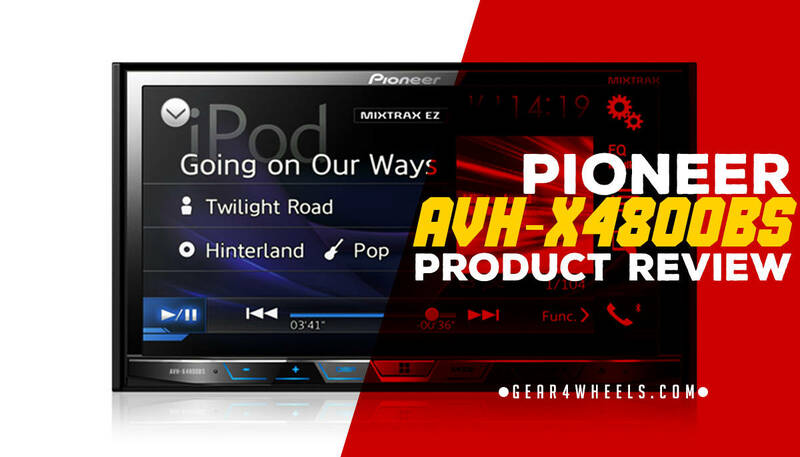 Pioneer AVH-X4800BSNow that we’ve seen what having a double DIN head unit can mean, let’s look at what this particular speaker system can do for you and your vehicle. As we mentioned, one of the best reasons to get a double-DIN stereo is that you can have access to a touchscreen. In this case, you get one of the largest and most reliable screens available, with seven inches of integrated technology. The extra size makes it super easy to read and navigate through the various menus, meaning that you don't have to fiddle with knobs and buttons in a vain attempt to find the right channel or device sync. This screen is also helpful if you ever want to use GPS navigation through your smartphone or watch videos as it provides HD clarity that comes through at any time, day or night. Best of all, it’s much easier than ever to answer a call or navigate your mobile device as you can do so through this screen rather than fumbling with your phone’s. As more and more states have passed hands-free laws recently, it’s now crucial that you have a system for answering phone calls that don’t rely on holding your phone. Assuming that you don’t want to get a ticket, this system makes it easier than ever to switch back and forth between a call and your favorite station. Best of all, you can connect up to two devices at once so that you and your co-pilot can both benefit from the system. While you can’t listen to both phones simultaneously, you can switch back and forth as needed. Best of all, it syncs up automatically so all you have to do is turn Bluetooth on your phone and you can connect in seconds. While having integrated technology is a huge bonus, that shouldn’t come at the expense of the sound quality. Fortunately, this system has an internal fourteen-watt amp with four different channels for connecting to your speakers. This way you can outsource the sound to maximize its effectiveness. While most standard DIN head units come with only two channels, having four means you have twice as many options. If you’re a true audiophile, then you will want to upgrade the speakers in your car so as to fully utilize each channel and make sure that you’re getting the most out of your system. Overall, this speaker delivers nothing but high-fidelity sound at all times. X4800BS comes ready to sync up to any SiriusXM, Spotify, or AppRadio One account, meaning that you can listen to just about any kind of radio that you like. All of that coupled with the fact that you can also sync your own playlists means that this is the ultimate music machine. For most car stereo systems, you still have to press buttons if you want to answer a call or switch back and forth between apps. However, if you have an Apple device and want to use Siri, you can do so through the X4800BS with certain devices. 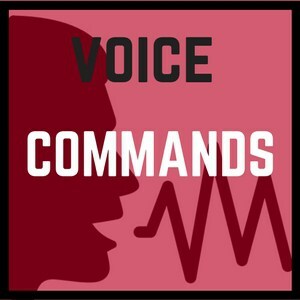 This way you can give audio commands instead of trying to find the right button, which makes your commute safer and more seamless. While we don’t advocate for watching movies or video clips while driving, if you do ever want to watch anything that is synced on your phone you can do so through the integrated screen. This way you have more room to see what’s going on and it’s already connected to your car’s speakers for superior sound quality. You can even hook up a DVD player and watch whole movies on the screen if you were so inclined. You’ve most likely heard of Pioneer brand speakers and stereos, but have you ever wondered why they are some of the most popular models available on the market? Well, the simple answer is because they are superior to most everything else you can find, but it’s also because the company is dedicated to making the best speaker systems they can, which is why if you see the Pioneer logo you know that you’re getting a high-quality piece of equipment. Since 1937, the company has been in the business of making excellent speakers, and the AVH-X4800BS is a prime example of that dedication to quality. After looking at all of the features and benefits of the X4800BS, it’s easy to see why this is one of the top selling models offered by Pioneer. If you are ready to take your vehicle into the modern age with a system that can connect to any and all mobile devices, then this is the stereo for you. Whether you’re an audiophile or a tech junkie this model has everything you need to make each ride as enjoyable as possible. Can you stream video via Bluetooth with this device? No, you will need to get an adapter to connect your mobile devices to the system so that you can play video. It will not work otherwise. Can I use this with a backup camera? If your car does come with a camera already, then you should be able to hook it up during the installation process. If you want to install a camera and then connect it to the system, you can do that as well. Can I connect to HD radio? Unfortunately, this particular model is not compatible with HD radio stations. Does this unit have a detachable face? No, the touchscreen is motorized, meaning that it can be brought down to access the CD/DVD port. However, you cannot take it off completely for anti-theft purposes. Does it have its own GPS navigation? No, but you can purchase a set separately from Pioneer. However, because it syncs to your smartphone, you can use your device instead.